Ecovia Renewables teams up with specialty ingredient supplier Seppic to jointly-develop and market high-performing biobased and biodegradable polymers for health and beauty markets. This partnership combines Ecovia’s expertise in fermentation and derivatization with Seppic’s expertise in formulation and large-scale production. Ecovia Renewables Inc. announced today that the company has signed a multi-year joint-development agreement with Seppic Inc, a member of the Seppic Group, a leading designer and manufacturer of specialty ingredients. Under the agreement, the two parties will co-develop a suite of high-performing, biobased and biodegradable polymers for topical applications in the health and beauty markets. Similarly, Seppic will have exclusive marketing rights to products made using Ecovia’s technology, a proprietary fermentation platform inspired by Ecovia CEO Dr. Jeremy Minty’s work on engineering microbial ecosystems. Seppic has been a global supplier of premium specialty ingredients for more than 70 years and is recognized worldwide for reliably delivering quality products to its customers. They are uniquely positioned to add significant value to Ecovia’s commercialization efforts within the health and beauty segment. Demand for renewable ingredients has increased dramatically in the last ten years, especially in Europe and North America. Ecovia Renewables Inc. is a privately-held biotechnology company focused on the research and development of high-performing biobased chemicals and fuels. It was founded in 2014 by Dr. Jeremy Minty and Dr. Nina Lin to commercialize their pioneering research on engineering custom microbial systems. 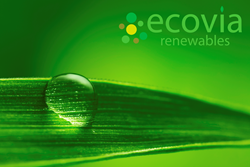 More information about Ecovia Renewables is available on the company website at http://www.ecoviarenewables.com or can be requested by emailing bd(at)ecoviarenewables(dot)com. Seppic Inc. is a member of the Seppic Group, a company of Air Liquide Healthcare. Seppic designs and markets a wide range of specialty ingredients for health and beauty. Present in 100 countries through its subsidiaries and its network of distributors, Seppic employs 700 people worldwide, including 100 employees dedicated to innovation. http://www.seppic.com.